Sure! I’m Alice. I’m a 35 ivf mum of one little girl (who rules the roost) and married to my gentle rockstar husband (I mean, he works in digital media but he’s a rockstar to me!). 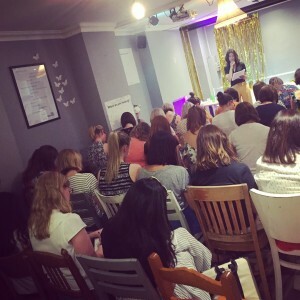 I’m writing a book and also run an Instagram account, blog and I’ve just started live events where I talk and lead a workshop for people going through a struggle to become a parent. Oh and I’ve just launched a podcast called ‘the TTC Life Raft’ and a campaign called ‘Think! 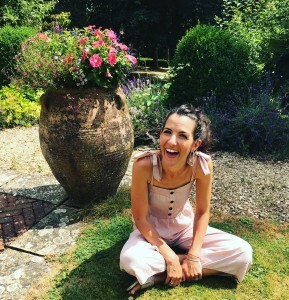 What Not to Say’ (#TWNTS) The campaign is backed by the amazing Dr. Larisa Corda who is a regular on This Morning, Lorraine and is Channel Mum’s Fertility Specialist. When did you first realise that you might have fertility problems? I suspected even before we started trying. My cycles had always been totally and utterly irregular. Not just 30 days one month and 40 the next. I would have cycles where I wouldn’t have a period for more than a hundred days! So I went to my GP even before I came off the pill. What treatment have you had to date? I had a uterine fibroid removed; 6 rounds of clomid, 4 rounds of injectable ovulation induction (IUI without insemination) and one round of IVF which was successful. We have four embryos on ice. How did you find yourself coping (or not) with fertility problems? Initially I was a total and utter mess. I was trying to control everything and I was so stressed out. 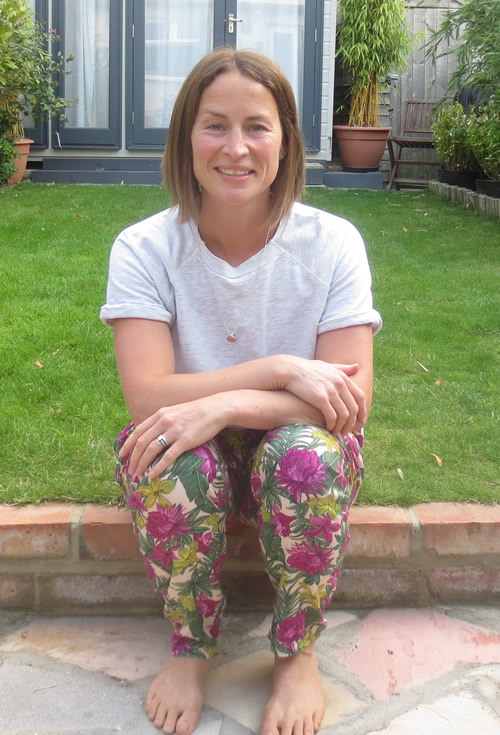 I thought that by being super organised and trying to pre-empt fertility problems I could either prevent long waits for treatment or somehow I would get pregnant naturally because I did absolutely everything in my power to enhance my fertility (from what I read, researched etc). But the world had other ideas! The stress was awful and I became completely obsessed, losing hours and days of my life Symptom spotting and then feeling crushed when it didn’t work out. When did things change, when was that lightbulb moment for you? My lightbulb moment happened gradually, so it was more a lightbulb month I would say! But it was when I began investing my time primarily on my well being- physical, mental. All of that holistic stuff. I did a course called ‘an artist’s way’ and for me, it shifted something monumental internally. What I’ve realised since then is that you don’t necessarily have to do that same course, it’s just that the things I learnt on that course completely changed my life so that I was back in charge of it. Suddenly I realised I felt amazing. Which was a total revelation given that we were still deep in the midst of our fertility journey. I still felt broken when we had failed cycles – I wasn’t immune to pain! I just had so many ways to cope and felt like I knew exactly what I needed to do every time we needed to make decisions. It was so empowering. What are your top tips to any women out there experiencing fertility problems? Take ownership! This includes everything from practical stuff like properly researching fertility clinics; keeping your paperwork in order and writing down how to administer your drugs if you go through treatment, to holistic stuff like practicing how to take things day by day. Doing all you can to root yourself in the present moment. Living in the future – which is what I did so much of the time initially- creates endless stress. The more I learned ways to live in the moment, the more free I was. It takes daily practice but it is absolutely the only way I can handle this process in the way I do. Do you believe that it was this, that helped you get through your fresh IVF cycle? I don’t believe the holistic approach to my well being was the reason I had IVF success. I think we were bloody lucky as well as having a great consultant and doing all we could to give us the best chance. I believe that my approach meant I was in a good place physically and mentally but I feel passionate that women should never, ever blame themselves if they have failed treatment- so if you’re reading this and thinking “BUGGER I’m not in a great place emotionally my treatment might not work”, no, that’s not how it works! 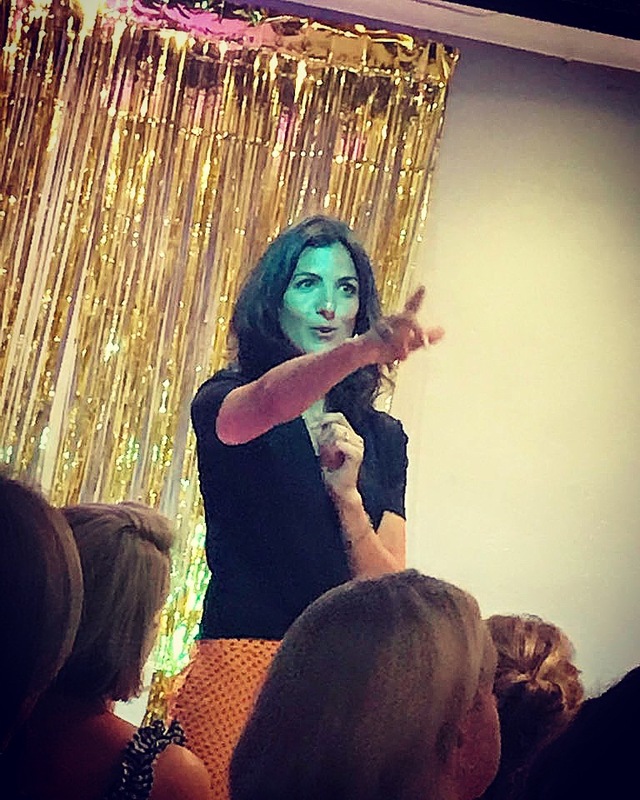 My approach was a transformational way of living which I carry with me now though and I do believe it has brought an enormous richness, creativity, excitement and freedom into my life which I couldn’t live without. Do you use your techniques currently? I honestly use my techniques daily to help me through every single thing I do in my life!! So yes, definitely. I practice self care a lot. I write every day, meditate when I feel called to and generally live intuitively. I don’t have a rigid morning ritual for example but if one week I don’t feel I’m coping well with things I might implement one for a few days to help get back on track. I don’t go out in the evening if I feel like I need time out. I really try to give myself what I need and I aim to nourish my body, mind and soul as much as I can! You don’t refer to your daughter much on Social Media, was that a conscious decision? When I set up my Instagram I felt really compelled to share all of the things I found so transformational and that changed my life when we went through this horrendous experience. So my daughter and current motherhood journey wasn’t really relevant to that. I also quite like that she is a separate part of my life as Instagram can feel overwhelming at times. The stories and heartache I read about daily genuinely affects me. I love other accounts who do share motherhood experiences and follow loads of fab Insta mums! Who knows – I might rope her in at some point. But for now she’s staying out of it! Did you think that you’d have such a big impact as (I think!) you are having? Do you think you’ve tapped into a nerve, of sorts? That’s really kind of you to say. I’m so overwhelmed to be honest that people have responded so much to my feed. I think we’re in the middle of a movement right now. I think women and men going through this have realised that we have much more power over our circumstances if we support each other and raise awareness. My own input is just one of a few which I think are maybe part of a zeitgeist thing. I truly believe the more of us who are doing this stuff, the better we will make the world of fertility for others and future generations. I do think times are changing and conversations are happening and I feel SO privileged to be playing a very small part in that. You held your first event recently, would you like to do more meet ups? Yes!! If only I had more time. I would love to take my event to as many places as I could. My next one is in Bristol on Saturday 6th October from 11am-1pm and I am SO excited to meet more people there. Tickets are a tenner. I have so many ideas about progressing it all more and creating a really strong support network of people looking for alternative and more positive ways to deal with this rubbish. Thanks Alice! Do listen to her new podcast, the TTC Life Raft and subscribe for updates. If you’ve ever had anything horrendous said to you by a medical professional (I’ve had a few howlers), friend or well meaning family member, check out Alice’s #TWNTS campaign (Think! What Not To Say) and if you’re trying to conceive follow Alice on Instagram and check out the #TTCCommunity if you’re in need of a like-minded group of women (and men) to engage with.